Some of the videos in this collection appear in RealPlayer format. 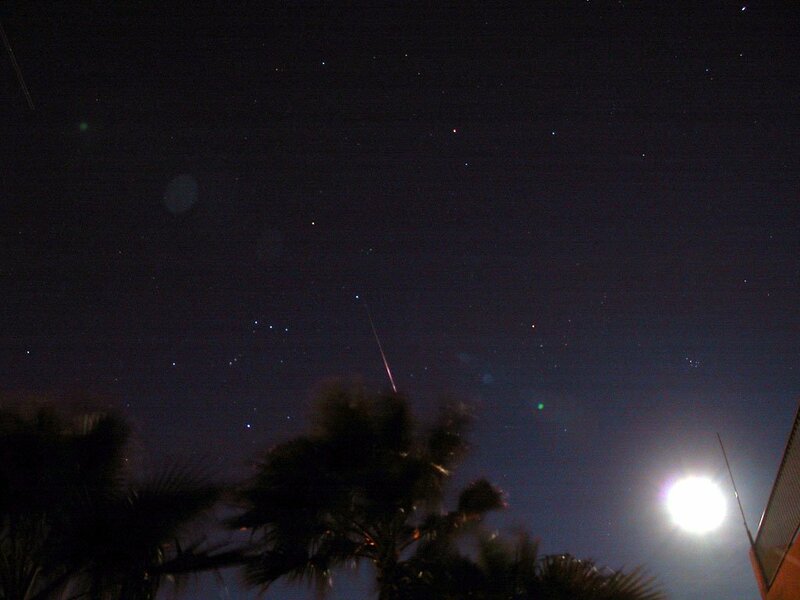 Nov. 17 #1, video G. Varros: "This is a bright Leonid meteor, perhaps brighter than the moon, imaged from the NASA DC-8 during the Leonid MAC Campaign, using the Meteor Tracker developed by George Varros. 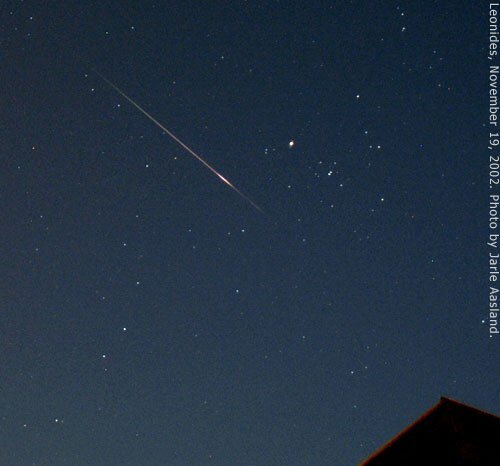 After a brilliant flash, the meteor reappears before burning out. The train was visible for at least 4 minutes. Courtesy George Varros and Dr. Peter Jenniskens. Special thanks to all the people at NASA Dryden who made the mission such a big success! " 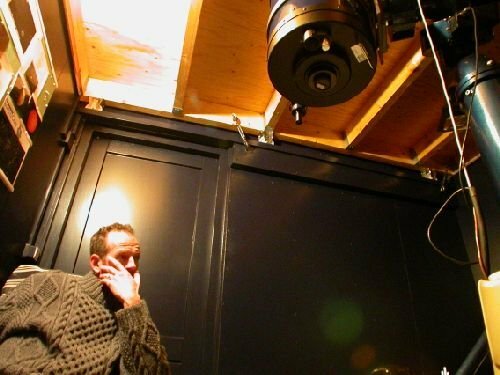 Nov. 19 #1, #2 J. Koeman: "After exciting weeks of preparation and gathering information from the web about the Leonides, we suffered last night tremendously under a thick cloud cover over the Philippus Lansbergen Observatory in Middelburg, The Netherlands. Look at our pale faces!" 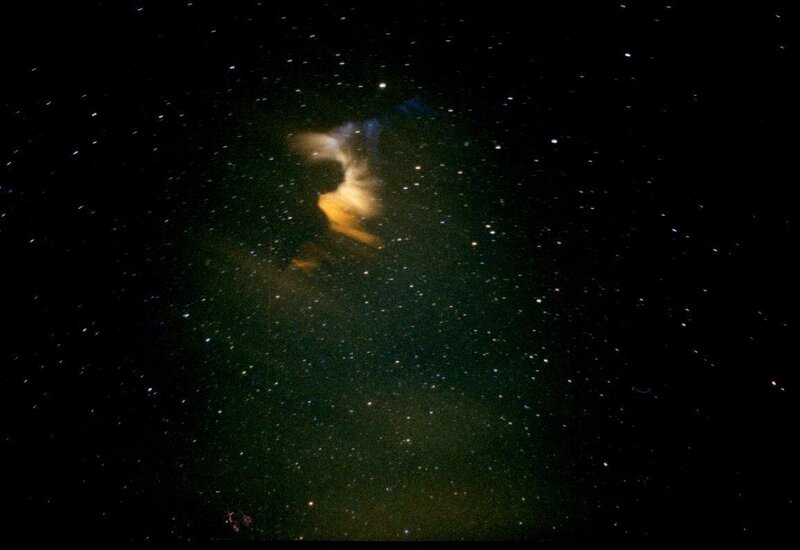 Nov. 19 #1 B. Whittaker: "Here is a photo of a Leonid that I took out of an airplane window this morning at about 4:10 AM GMT. It was hard to judge, but I guess that rates got up to about 1 every 10 seconds for several minutes. 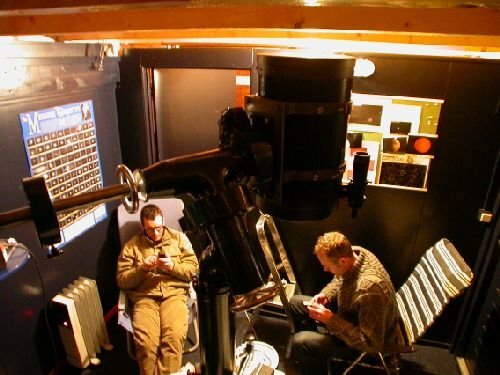 I'm guessing, with my limited view, that it peaked about 4:50 AM GMT from the North Atlantic." 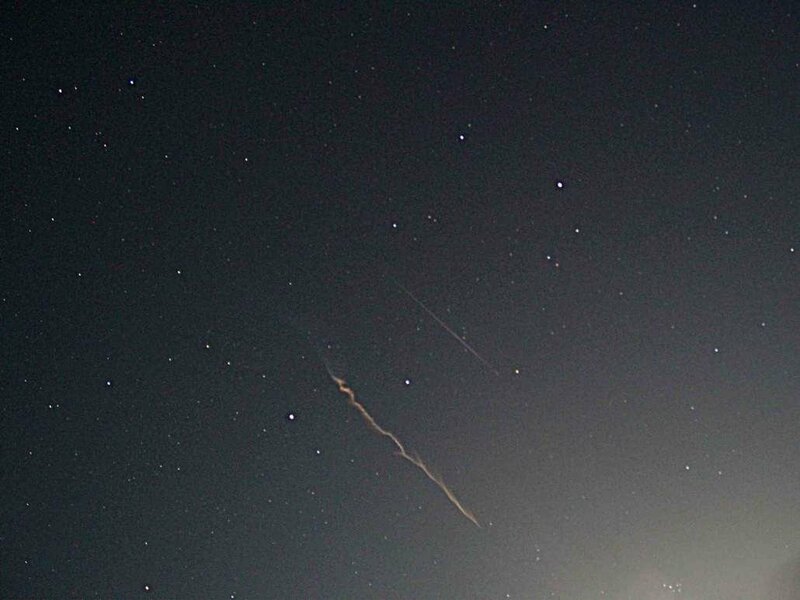 Nov. 19 #1 This image shows a faint Leonid streaking above the smokey debris of a fireball that exploded before the exposure began. The smokey trail is twisted by high-altitude winds. Nov. 19 #1 B. Gallagher: "The bright, fixed 'star' is Jupiter." 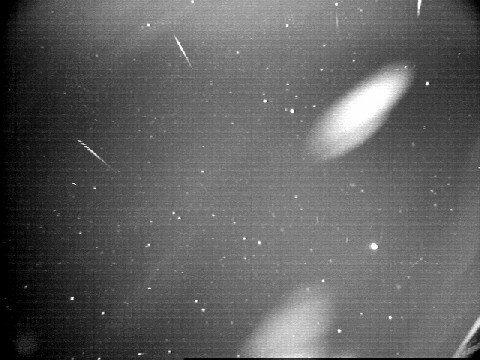 Nov. 19 #1 R. Leadbeater: "This image, which was taken using a modified surveillence camera , is a composite of 150x 2sec frames The white blobs are clouds. The bright object bottom right is Jupiter. 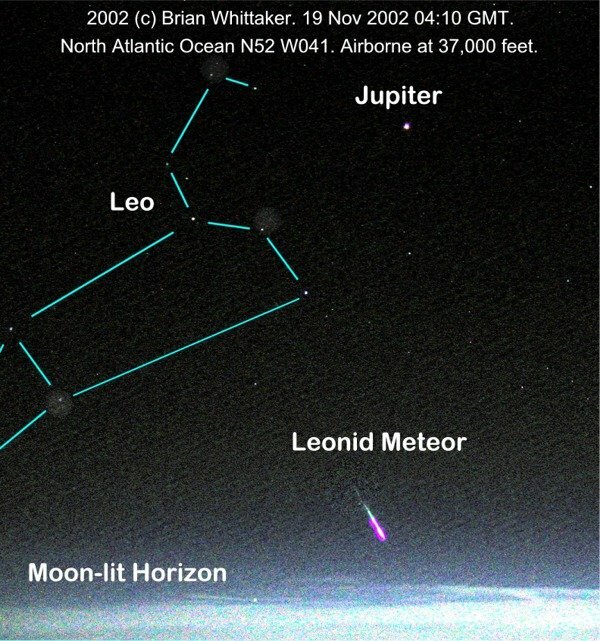 The steaks are the meteors, diverging from the radiant in Leo." 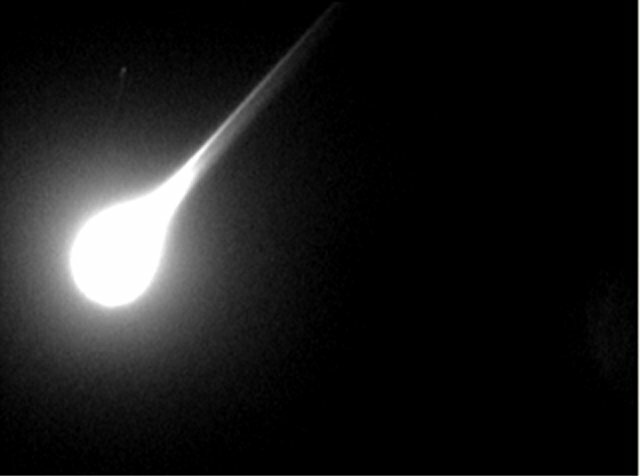 Nov. 19 #1 This meteor appeared over Norway at 5:30 a.m. local times. J. Aasland: "Great show!" Nov. 16 listen High school student Sebastiaan John de Vet recorded this radar echo of an early-arriving Leonid on Nov. 16th. Learn more.